Live Your Poem...: ARTSPEAK! 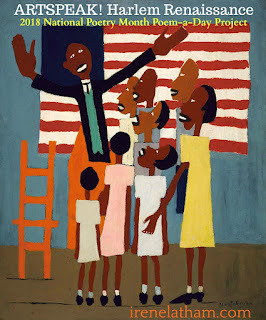 Harlem Renaissance "This Poem is A Dream"
ARTSPEAK! 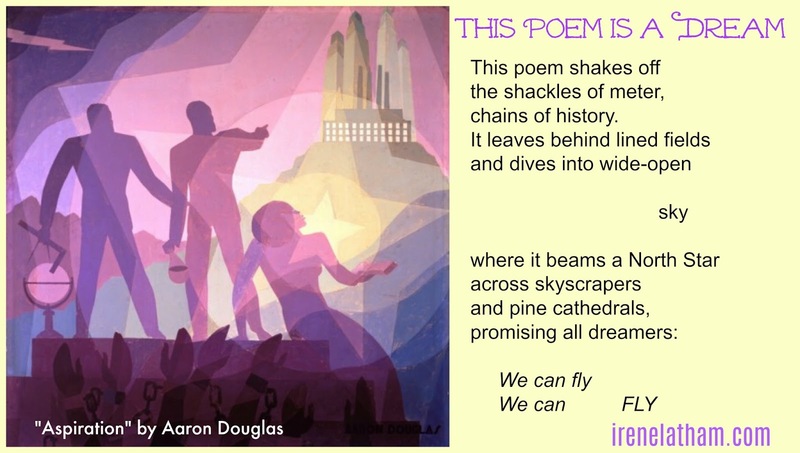 Harlem Renaissance "This Poem is A Dream"
Before we get started, be sure to visit Liz at Elizabeth Steinglass to read the very first line of this year's Progressive Poem! Aaron Douglas illustrated many books during the 1920's, and I learned in the book HARLEM STOMP! by Laban Carrick Hill that his work came to embody all that the Harlem Renaissance stood for – the culturally rich aspects of African-American life and heritage. So for the first week of this project, I will be writing after his work. The first piece I've selected is "Aspiration." You can read some information about the painting here. I'm impressed by all that's going on in the painting, but it's not my job to include everything in my poem. I knew by the title and by the lights that what I wanted to write about was dreams and dreamers.